The Oregon Ducks football team begins spring practices Tuesday and the battle for starting positions amongst new and returning skill position players will begin. For wide receiver Bralon Addison, the road to 2015 spring training has been a long one, but it has finally arrived. Addison is ready to begin 2015 spring training drills this week. This week will most likely be filled with mixed emotions, bringing back the memories of last year’s spring training when Addison tore his ACL during scrimmage. While the injury effectively ended his role on the field for the Ducks, Addison has been watching, learning and most importantly, healing on the Oregon sidelines. Now, one year later, the Texas native appears to be near full health and is expected to participate in spring drills. And for Addison, this couldn’t be a better time. The Ducks will be looking for a set of reliable hands to replace Keenan Lowe (graduation) and sophomore receivers Devon Allen (injury, torn ACL, return questionable) and Darren Carrington (out the first six games). Oregon’s immediate need for a dynamic playmaker puts Addison in the driver’s seat to control his own destiny. 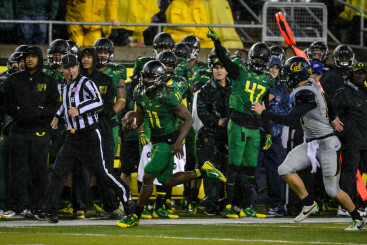 In 2013, Addison grabbed the attention of Duck fans as he had 61 receptions for 890 yards, second only to Josh Huff. But the 2015 team is loaded, particularly for aspiring receivers. Oregon will also see the return of senior Byron Marshall, sophomore Charles Nelson, and redshirt junior Dwayne Stanford, all vying for playing time. And with Carrington and Allen expected to return to the lineup soon, this makes for an impressive position group. The experience of receivers such as Addison and Marshall will provide a huge lift for a new starting quarterback come September. 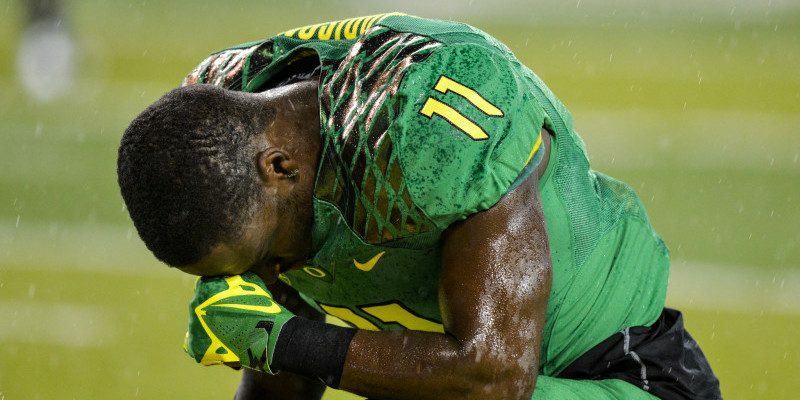 And while many remain consumed with the vacant quarterback spot, Oregon’s No. 11 will be focusing on being No. 1.